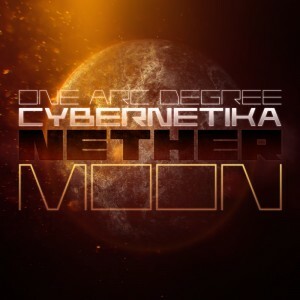 The combined efforts of experienced Greek psybreaks and dub duo One Arc Degree and German psychedelic drum ‘n bass pioneer Cybernetika take us on an emotive journey to the Nether Moon. Released by Ektoplazm, this cinematic quartet represents an ideal symbiosis between Cybernetika’s dark future visions and One Arc Degree’s deep and mystical explorations. Together these artists have composed a soundtrack for a mysterious place: “Behind the illusion of a hostile and barren rock floating in space there is another world, bringing ancient memories and dreams to life.” Track 2 written and produced by One Arc Degree (Vasilis Kesalidis & Ioannis Konstantios), based on samples from “The Ghost Music” by A-Duff; tracks 1, 3 and 4 written and produced by One Arc Degree & Cybernetika (Lars Goossens). Mastered by Cybernetika with artwork by Christian Becker and design by A. Synaptic. MP3 Download | FLAC Download | WAV Download · Download count: 18,500. Sublime and super. Thank you. Outstanding to me track #2, I am hypnotized. Excellent stuff….. such good music! Thank you. Future Sound of.. Space!! Amazing sci-fi music, great collaboration work! Passing through other dimensions while listening to this peace of art…. GawdDAM this is such amazing music!!!! when is more being made so i can plug it in my ear holes ? the brilliant quality of this production and the masterly arranged play of the single sounds create unseen soundscapes in my mind – massive thanks and respect for this awesome release! Thanx a lot for this amazing and wonderful cosmic harmony of music… you are the best, it’s my favourite site!